Of the many transcendent bread experiences I’ve enjoyed in my life, one of my first happened overseas. Almost thirty years ago I was visiting Paris for the second time in my life and I stumbled upon this bakery on Rue du Cherche-Midi in the 6th arrondissement. I got there mid-morning, drawn to the bakery by the smells of smoke and its lovely front window. I had arrived at Poilane. I bought a one quarter chunk of their enormous round loaf and got to talking to the woman at the counter, and before I knew it, she invited me downstairs. Dominating the room was an enormous wood-fired brick oven and a petite baker who was checking on the enormous loaves inside, rotating them with an elongated metal tool. 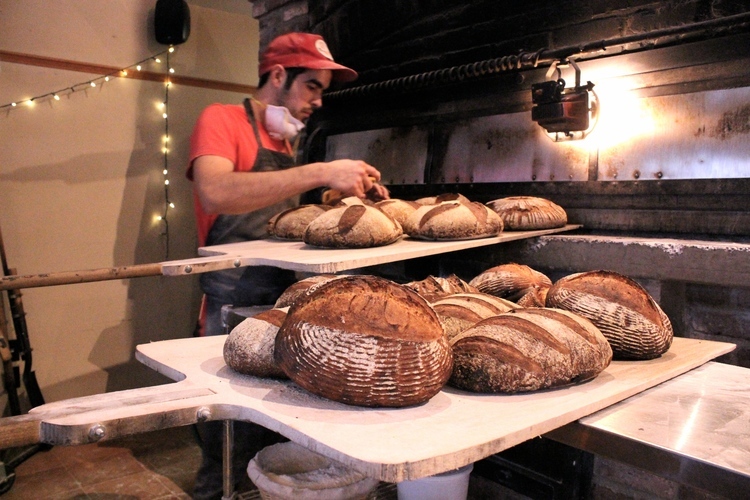 I watched mesmerized by the baker’s assuredness and the yeasty aromas of warm sourdough levain, but most of all by that oven. It was like a living thing, a fire-breathing dragon that possessed the power to destroy or birth these magnificent loaves. 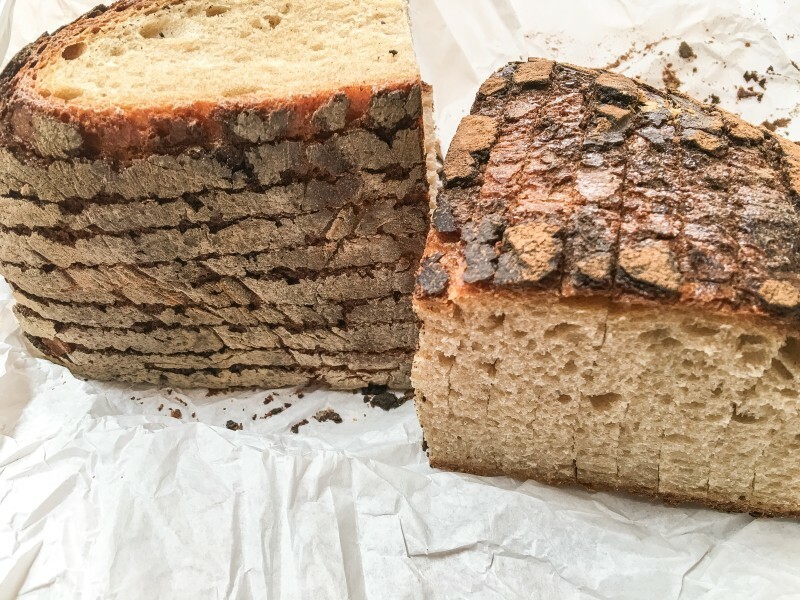 Here is what Poilane bread looks like — exactly the same this past August as it did thirty years ago. 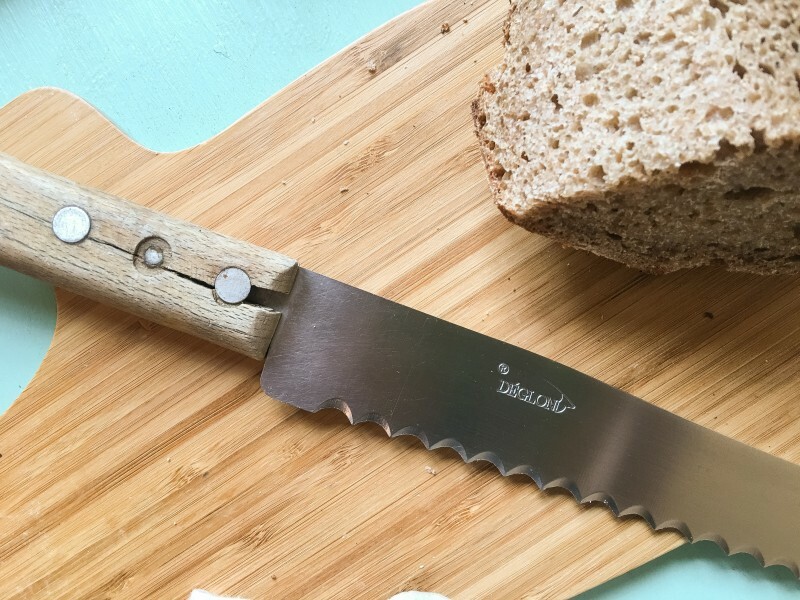 Every day I pick that knife up I remember Poilane and that feeling that the baker and oven are forever entwined in a fiery tango, both acutely aware of one another’s limitations and attributes and silently acquiescing one’s role in the outcome. 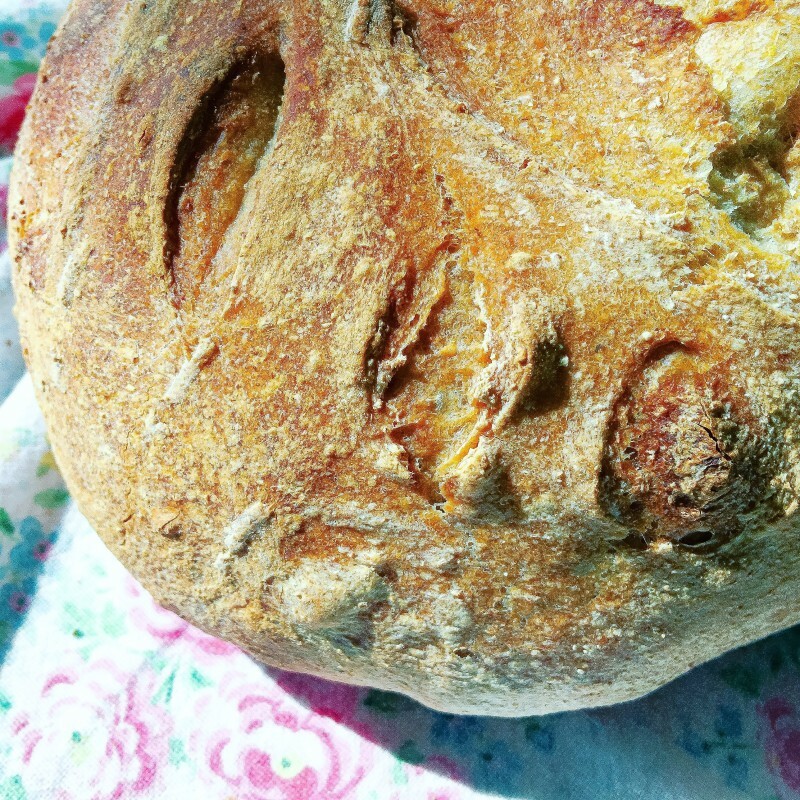 I was reminded of Poilane when I had another transformative bread experience this past year. 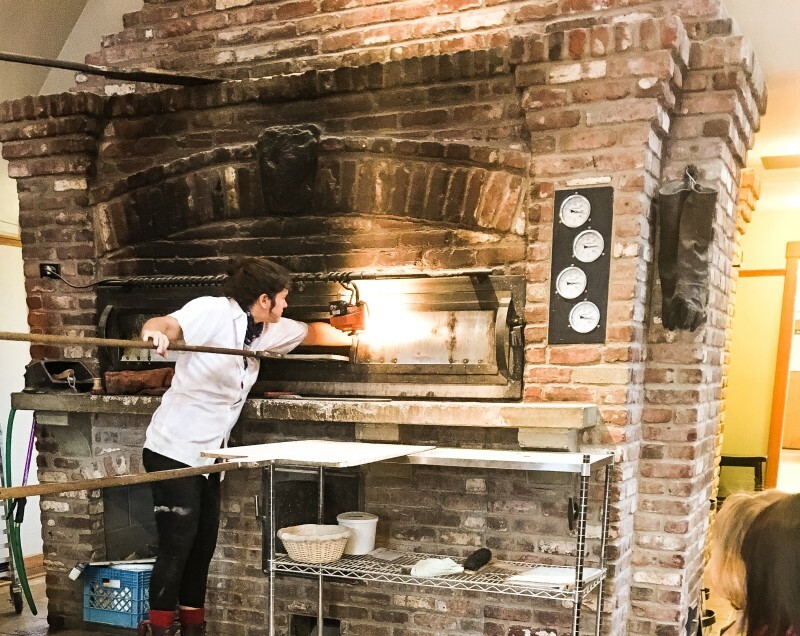 I came across another colossal wood-fired oven right here in Portland, and saw first hand the magic that comes out of it. 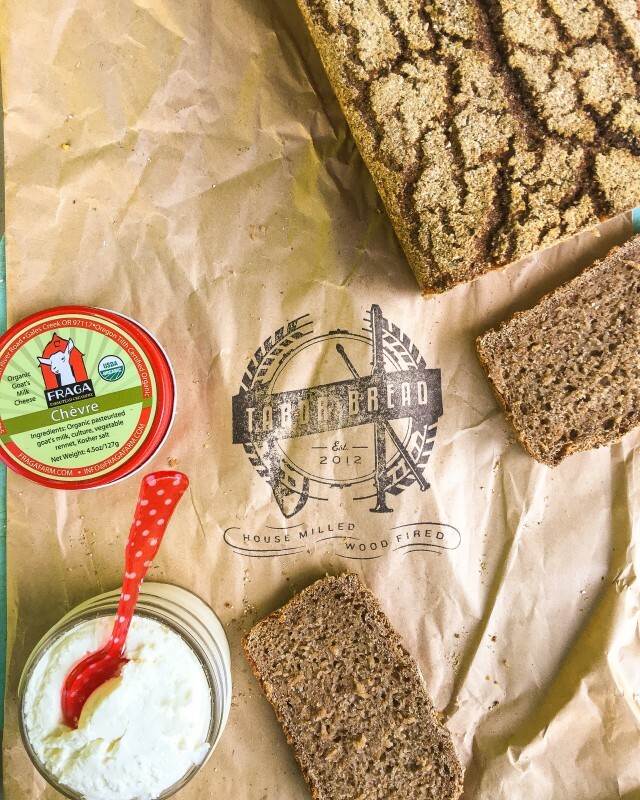 Located on the outer-skirts of the commercial zone of Hawthorne (at 50th) and at the lip of the Tabor neighborhood, Tabor Bread is doing some incredible things right now. 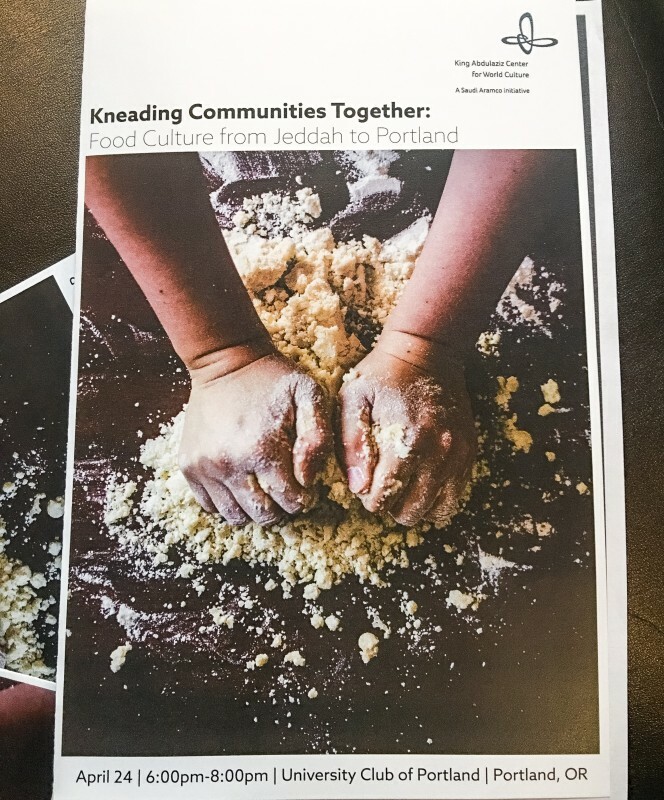 I recently had the pleasure to talk to a few of its main players and was able to see first hand how it is they are making some of the best bread and pastries not only in Portland but also in the country (its awards and mentions in food publications and press are too numerous to mention). Let’s start with the creator/owner of the bakery, Tissa Stein. Allow me to tell you how she and her extraordinary bakery made it here. Tissa was a homemaker and mother living in Sonoma in the early 90’s when she first became acquainted with Alan Scott, a renowned hobby baker and builder. 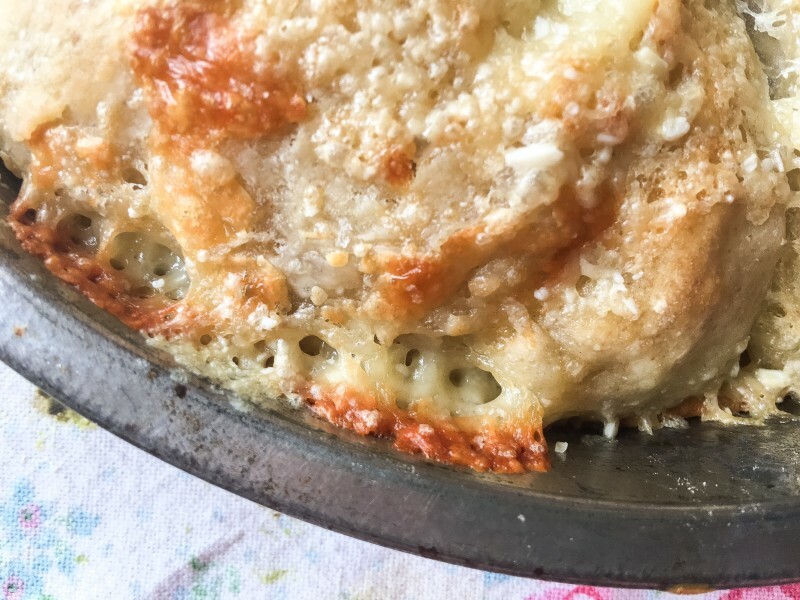 Alan came up with plans for a backyard wood-oven for her, and he also became quickly known for his own homemade breads that he baked in an oven in Tomales (just north of San Francisco). 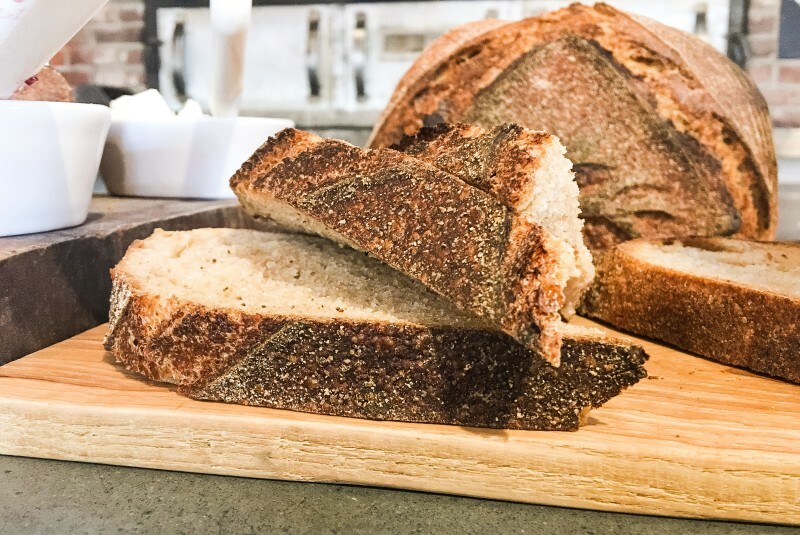 As word spread of his creations, he started making more and more loaves for an avid following who were enthralled with his signature red wheat boules, tangy with wild yeast, a slow fermentation and baked to a deeply bronzed exterior. Tissa was one of those early customers who made the weekly trek to buy loaves he’d dropped off at a friend’s house and in no time, she and Alan became dear friends. 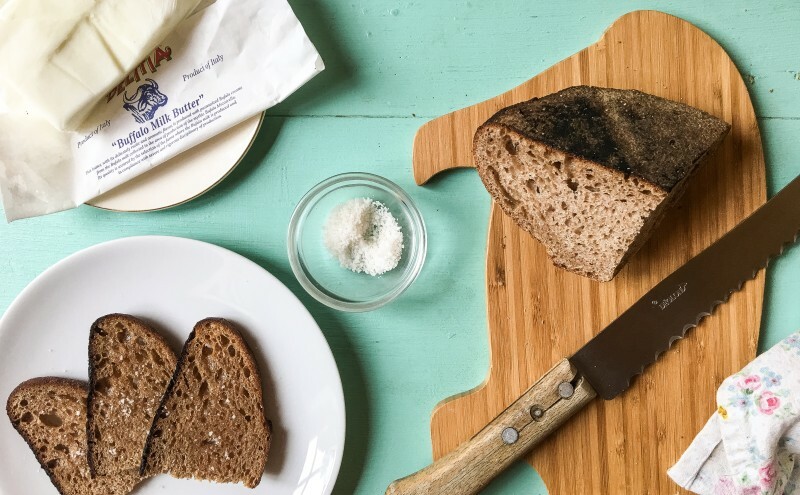 She raised her family on his bread, loaf by loaf; it was a constant and reliable source of not just nutrition but also great joy in her household. Alan later went on to writing a groundbreaking book called The Bread Builders: Hearth Loaves and Masonry Ovens and influenced a whole generation of bread makers (I’ve read that Chad Robertson, the creator of San Francisco’s world famous Tartine Bakery and rock star in the bread world, once lived on Alan’s ranch for some time). With the help of her son’s fourth grade class, Tissa and Alan built a wood-fired oven in the back yard of her ranch. 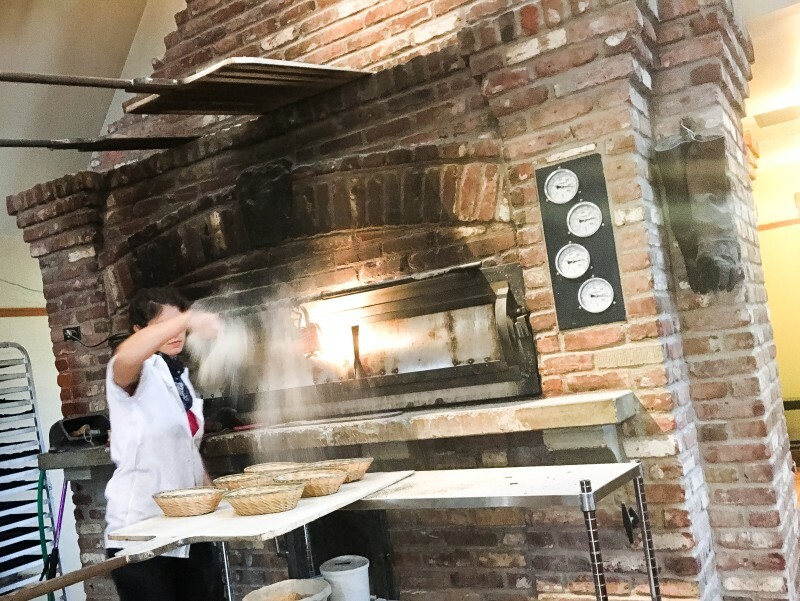 Tissa paired up with another avid baker by the name of Jed Wallach and together they experimented with bread-baking in this backyard oven, turning out sometimes a hundred or more loaves at a time. It was her son’s idea to spread the word of this largesse and in no time, bread aficionados would line up in their driveway with handfuls of dollars at the ready, itching to procure the bread so unlike anything else on the market at the time. Flash forward. Tissa and her family later spent years on a ranch, raising and boarding horses. It was only later, after her husband took ill and he passed, that her life took another turn as her passionate nature found a new love: tango. She then traveled the world, taking lessons from teachers in Argentina and eventually settling in Holland in Nijmegen, a town with a world-renowned tango school and a thriving dance community. 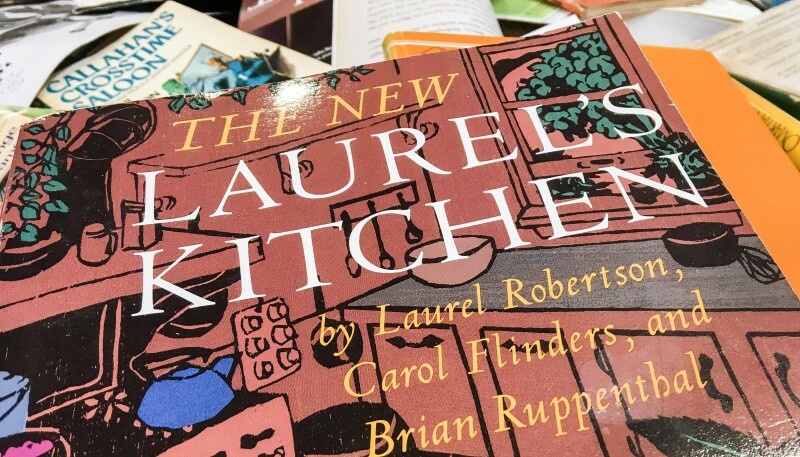 It was in this town (many consider it a sister city of Portland with its verdant greenery, twin rivers, tango enthusiasts and learned citizens) that the idea for opening a bakery struck her. She missed family and friends back in the States, and with the memory of Alan’s bread ever fresh in her mind, she thought Portland would be the perfect place for her vision of a bakery featuring breads made with freshly milled grains, a behemoth wood oven and a space in which the community could converge (and tango!). 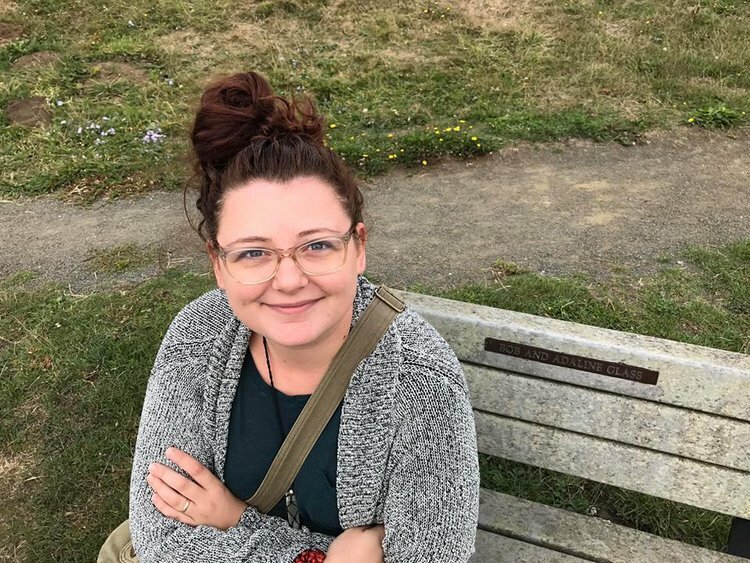 She bought a house in a neighborhood that appealed to her (Tabor/Hawthorne) and when a medical building opened up just one half block from her house, her real estate agent and contractor convinced her to take a look. She bought the building and started the nearly nine month process to get it ready. 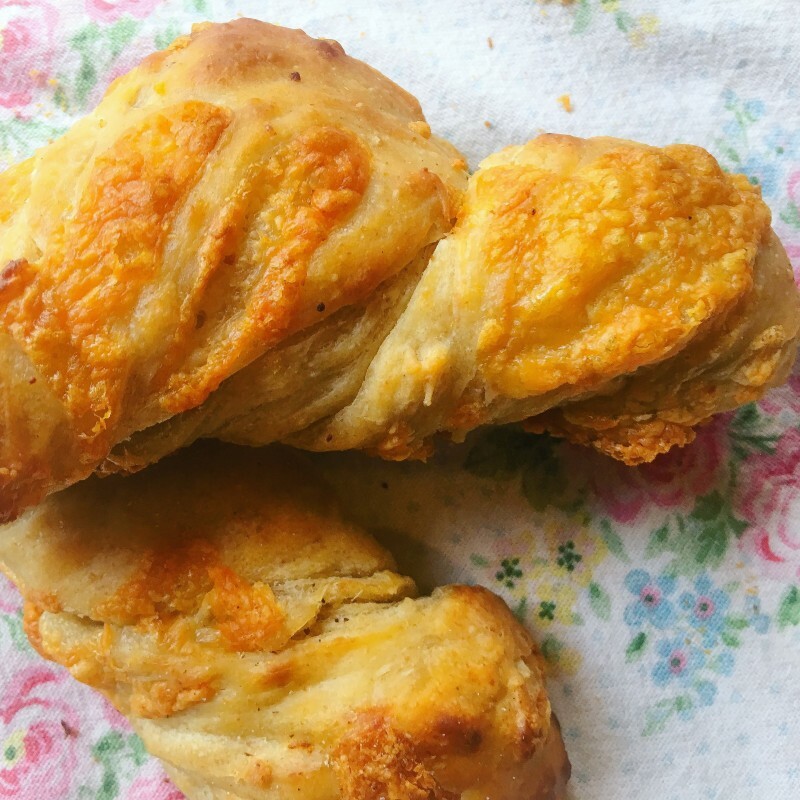 Alan Scott had died many years earlier but she’d kept in touch with his family, and she spent time with his daughter Lila baking the bread from their memory. Tissa wanted dearly to replicate that resplendent Scott loaf. She considered building a Scott oven as well but ultimately decided on William Davenport’s Turtle Rock Masonry oven with its better shape and more ergonomically built triple door openings. Masonry workers came out from Vermont for weeks to build the spectacular oven (the brick foundation alone took three weeks to set). My God — this oven is a beauty. 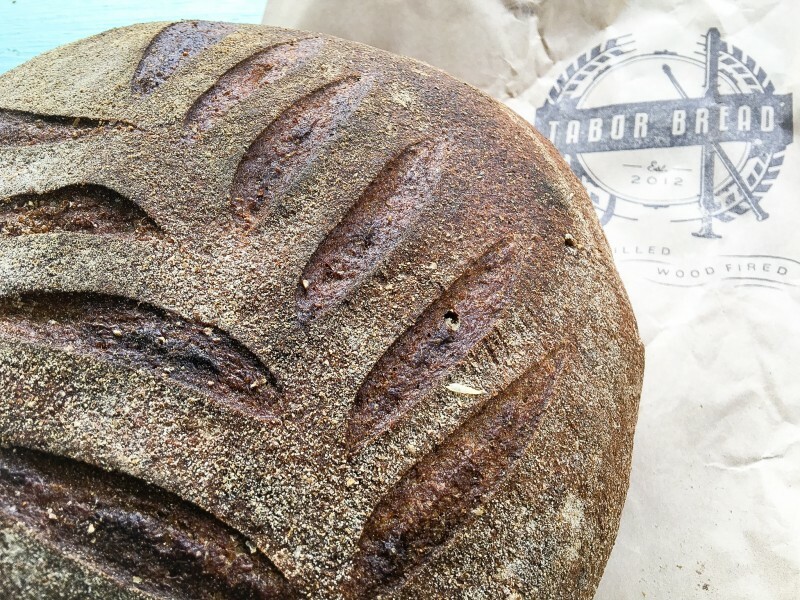 but it wasn’t until this past fall that I stepped into the bakery and first experienced Tabor Bread in person that I got a real sense of what the place is all about. 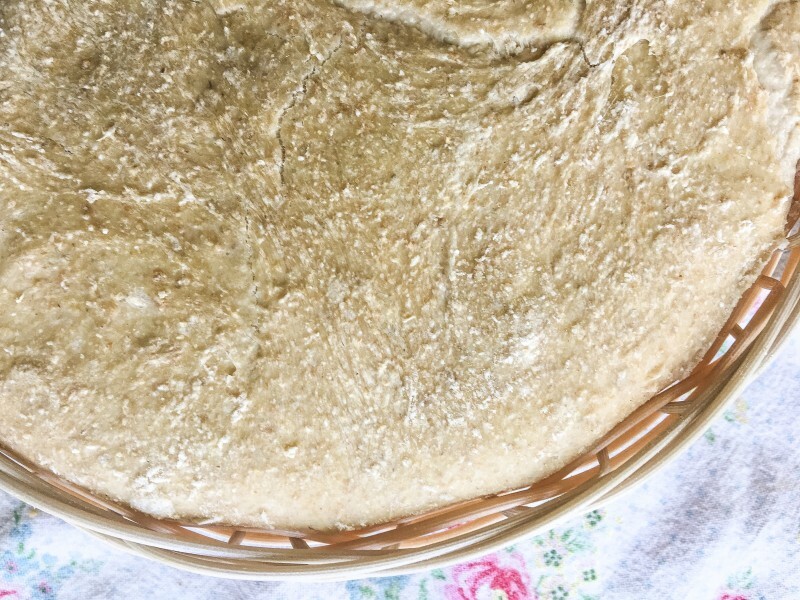 A couple weeks ago I was also lucky enough to attend one of their always sold out Breadmaking Classes; here we toured the entire bakery and witnessed the bread-making process from start to finish. 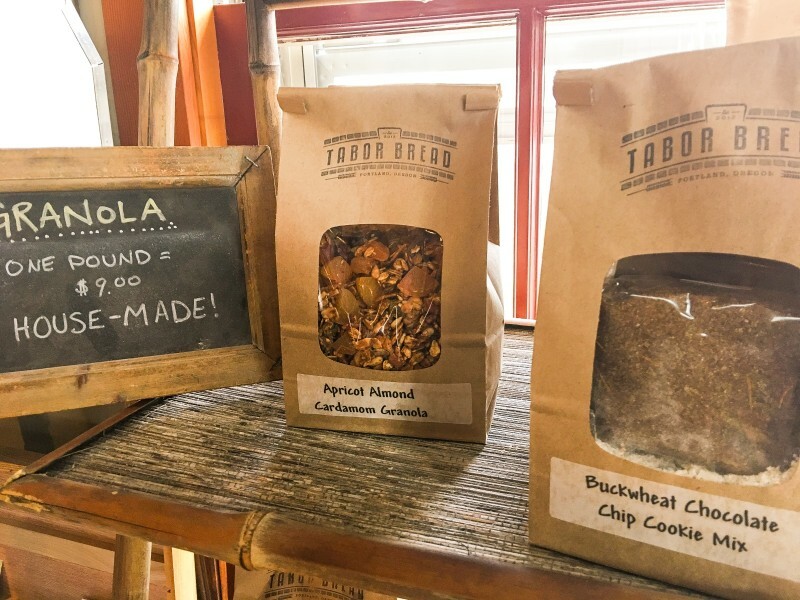 First and foremost, it starts with the grains they bring in from small local family farms; Tabor Bread is one of the very few bakeries in the country that has their own mill in-house, and their ability to mill their own grains has kept some farms in business. 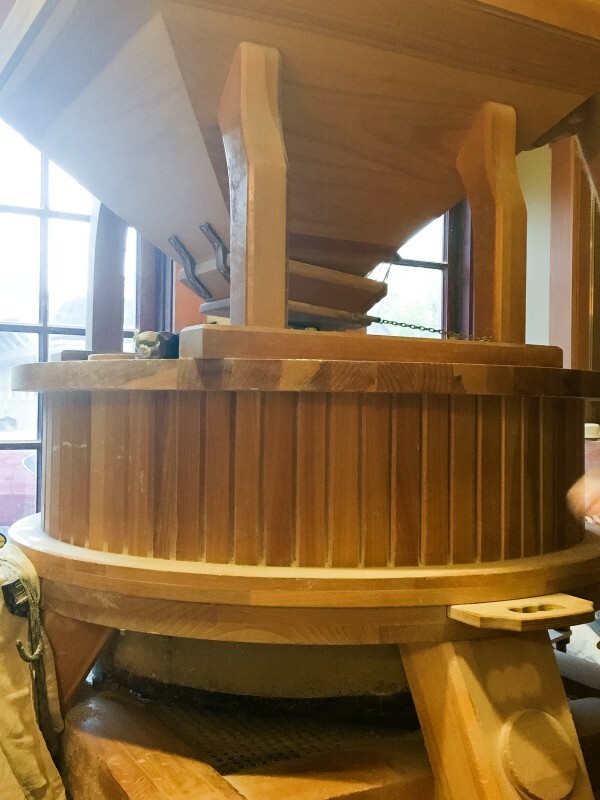 This mill is crucial to what they are able to do: not only does this enable them to ground the grain in its entirety (and to the desired degree), but this also affords them a level of freshness most bakeries cannot even get close to. 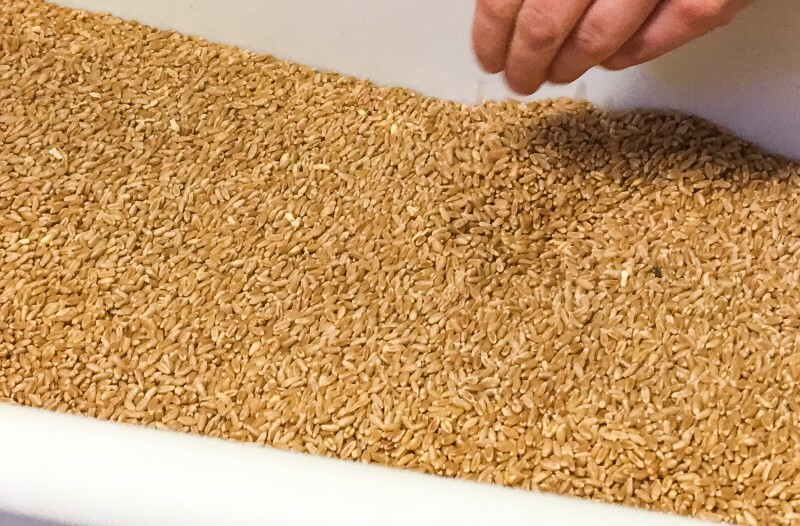 As was explained to those of us in the class, the minute you grind the grain it starts losing its freshness and nutrients, and so to start with such a fresh product is a game changer. 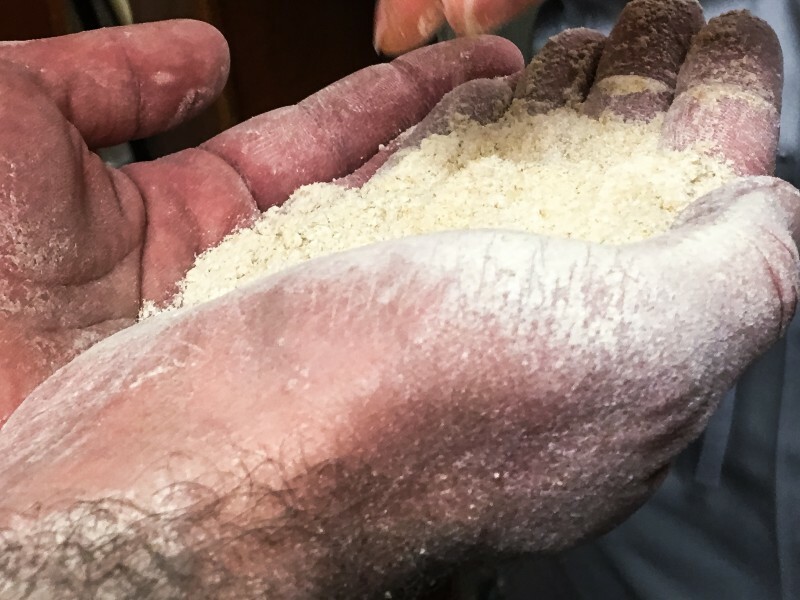 Look at the kind of thing I’m talking about — freshly milled wheat flour, just seconds away from being ground and ready to be made into bread. 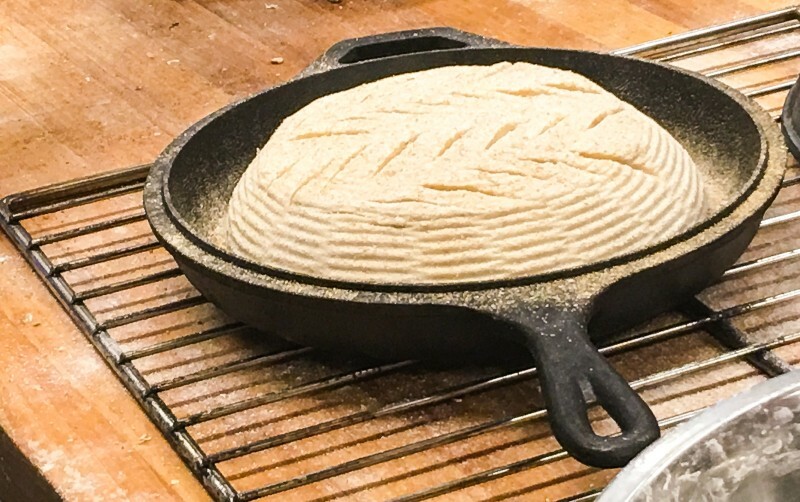 Next up we added a wild yeast levain starter to flour, water and salt; it’s that naturally created starter that gives the bread such an unmistakable tang and flavor. allowing it to rest and then folding it. He then showed us how to shape it and prepare it for its bake in a Dutch oven (such an inspired idea for the home cook). I learned so much from this class– and I will never forget the “aha” moment when the bread was pulled from the oven. 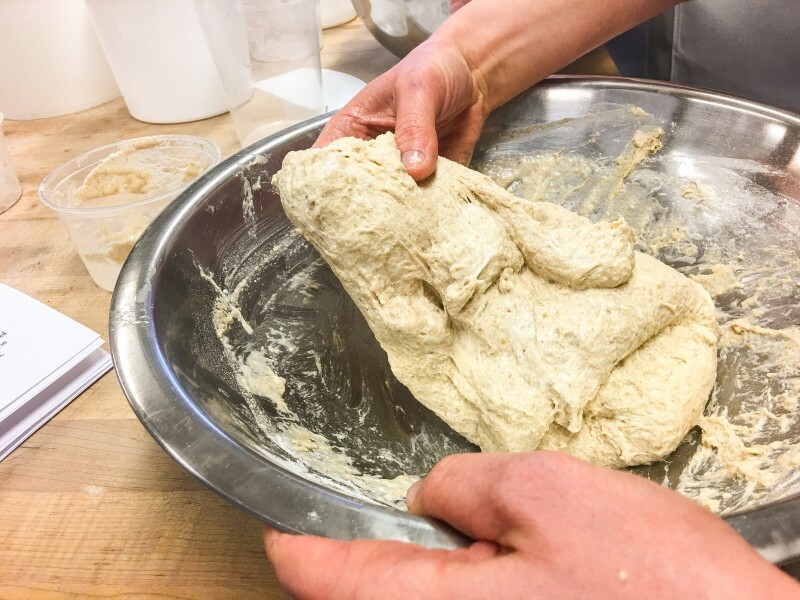 Everyone in the class goes home with the levain starter, a complete, step-by-step guide to recreating the loaves at home, and the dough you’d made that night to bake home in your own oven the next day. They even give you the bread-proofing basket, too. which was baked up in my oven to look like this. 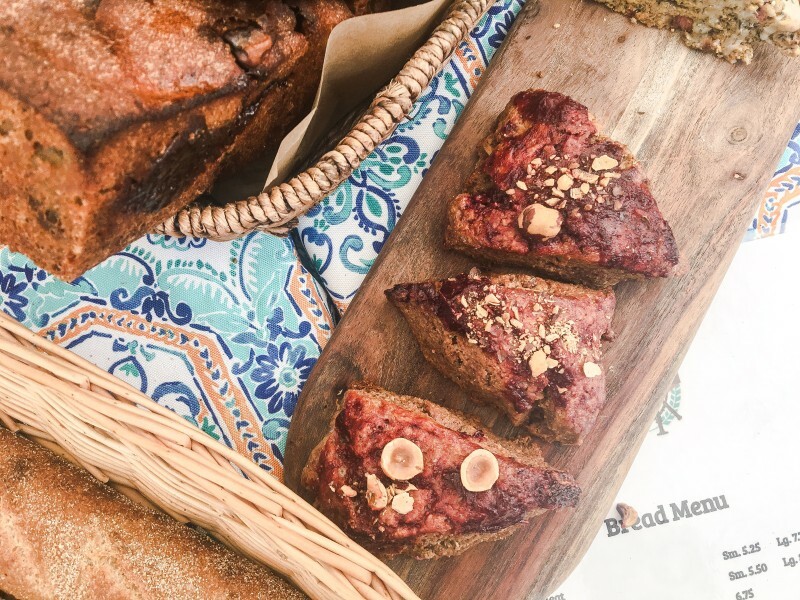 I was so excited about this gorgeous warm loaf that I invited a bunch of friends over and we sat and ate the whole loaf on my front porch — with just a tiny bit of jam and butter as the only adornment. I’ve also since taken my tiny bit of knowledge to make more delicacies in my home in the last couple weeks. and loaf after loaf of crunchy, bronzed Sourdough bread. 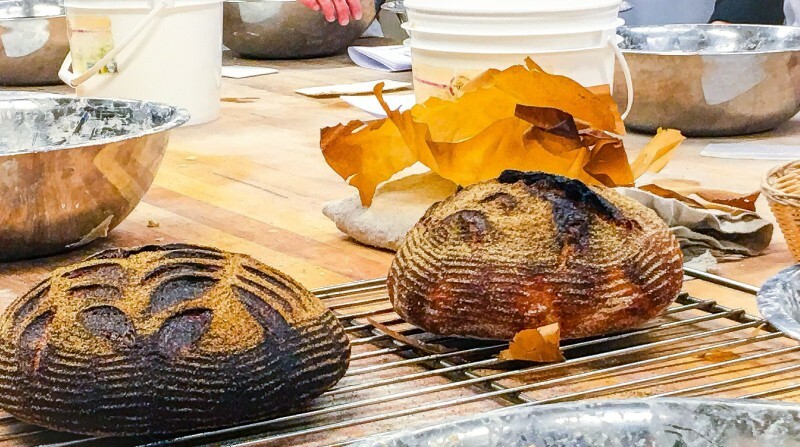 These classes (there is also a Baking with Whole Grains one) are so popular and revered that they fill up within hours of being posted, but I cannot recommend them highly enough. Check out the link and sign up for the newsletter and when a spot opens up they’ll let you know. Here’s the link to these classes. and all the items I’ve shared with others, both in town and on my travels. And I’ve thought about the conversation I had with Tissa and how her loves of horse-riding, tango and bread were all related. She pointed out that they are all art forms that are reliant on a non-verbal language. A delicate, non-scripted and un-choreographed dance between partners takes place as does a tactile give and take in which beauty takes hold. 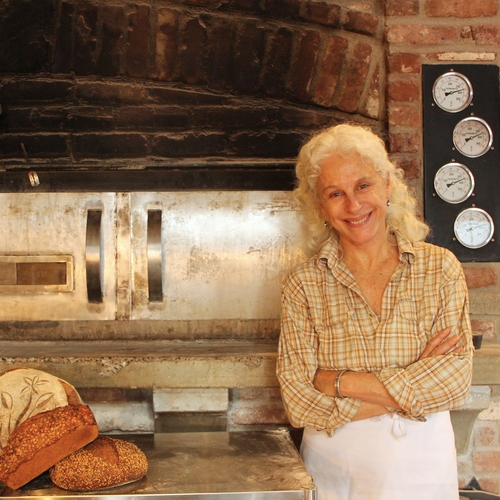 To this day, nearly five years since Tabor Bread opened, Tissa and her team of bakers are still trying to fully unlock the oven’s secrets, understand her whims and have her live up to her full capabilities (a narrow baking window of optimal heat means right now only about 100-200 loaves are made daily in this behemoth and all the pan and sandwich loaves are baked in their professional convection ovens). In talking to Tissa I was struck by her humility, her thoughtfulness,and her passion to do right by her neighbors and her team mates (the term “employees” doesn’t seem to leave her mouth). And this kind of stewardship shows in her staff. I’ve never seen one person working there who doesn’t seem genuinely thrilled to be there. Everyone seems to be on equal footing, all secure in the knowledge that their contribution is so valued (and they’re given the freedom to experiment and yes, even make mistakes). It seems like every single person I talked to had ended up there through a circuitous path of self-exploration when Tabor Bread acted as a beacon and they felt drawn to it. 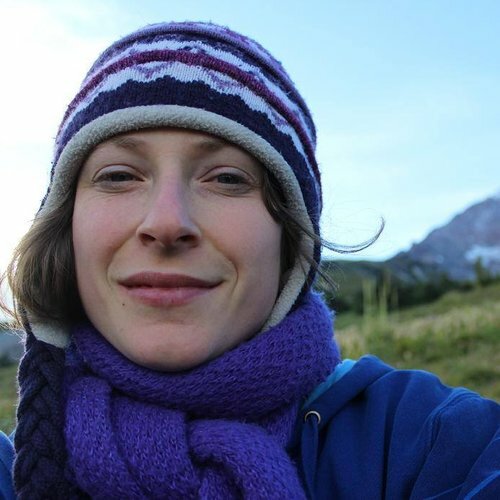 There’s Lee-Ellen, who was drawn here after a long trip and has been with Tissa since nearly the beginning (she also contributed some of her lovely photos for this piece). Cassidy told me she quit her job after her first bite as a customer and waited two weeks without a job until they finally found a way to include her on their roster. Karl left Whidbey Island and felt immediately at home on his first visit as a customer; when he shared he too was a baker, he was given a complete tour (including the mill room) and he was immediately hooked. and she talked passionately to me about all the regulars she sees here and how much she loves to connect with all of them. It was like she was talking about family, which is, in a sense, what the customers are to her. Truly, Tabor Bread is that kind of special place. I listened as Tissa told me she’d come to love her employees and is mothering them in a way she did with her own children. 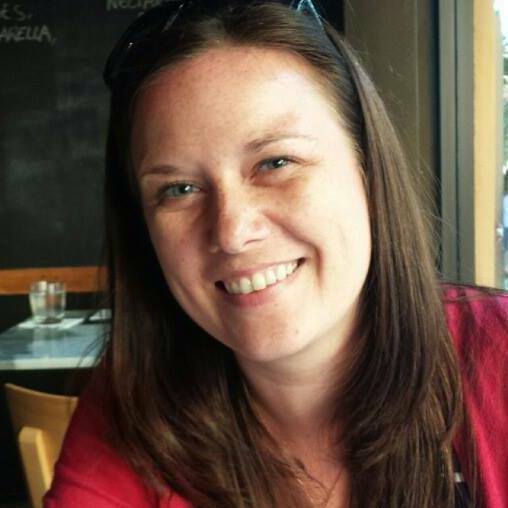 She is excited to see them take on new roles (as teachers, managers and the like) and knowing that they are often vastly over-qualified for the work they do, she’s immensely grateful for their enthusiasm and commitment to producing such an exemplary product. She knows that they will all leave her one day, but all she asks of them is that when they leave, they know a little more about themselves. As someone who has worked in, visited and reviewed countless restaurants, I can tell you that this kind of compassionate leadership in which perfection and community building — and not profits– is held most dear is a rare and beautiful thing. And get Tissa talking about what’s next for her and Tabor Bread and it isn’t the slight kitchen remodel they’re about to embark upon or the new truck that will ensure an increased distribution (“I had to get the kids something that I felt good about them driving around“), but rather it’s her partnership with Little White Salmon Biodiversity Reserve and all the philanthropic and community building opportunities and possibilities ahead that really get her animated. Like this panel discussion she participated in and I was thrilled to listen to at the University Club. I’m not alone in my love for this bakery. 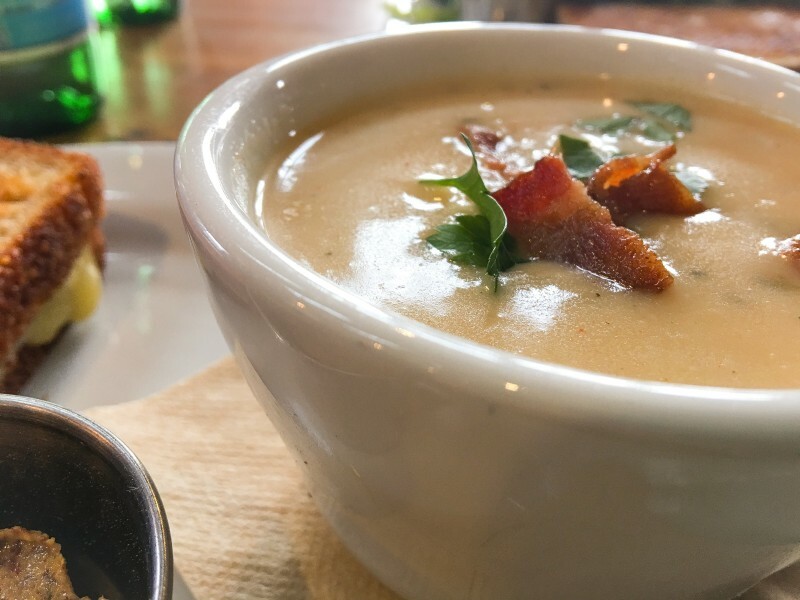 It’s truly impossible really to put into words the way that people have connected with Tabor Bread — it’s more than just the excellent breads, soups, salads, and pastries that are being offered here (and at a few select spots like the People’s Co-op, Alberta Co-op and the Hollywood Farmer’s Market on Saturdays). I think of their wild yeast starter and how it picks up something from the air, allowing it to thrive quietly in the open air. So too for Tabor Bread. 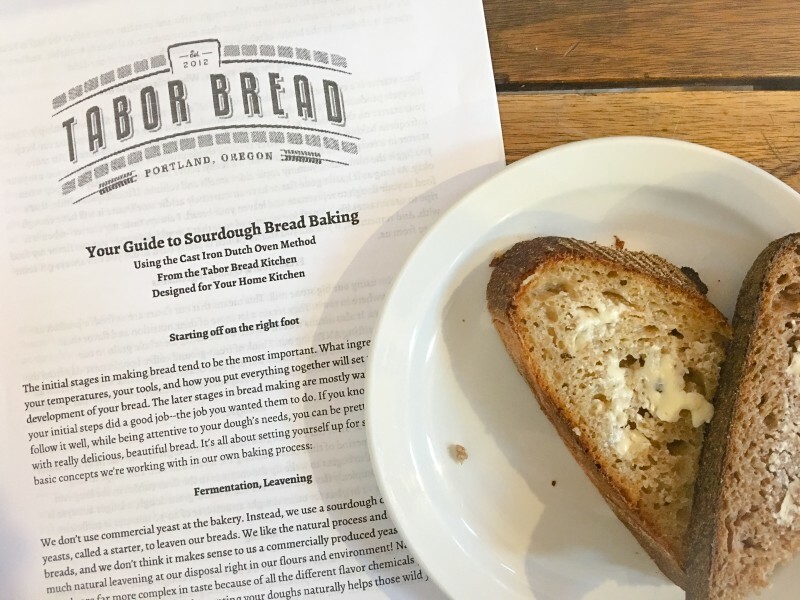 I think Portlanders have picked up on the intimacy of the Tabor Bread bakery, the sincerity of the staff, the food that tastes of love and care and the kindness that runs rampant here and now have adopted this place as an invaluable extension of their own homes. I told Tissa the story about how I came here to have lunch with a dear friend and how I found myself confessing to issues in my own life and how my friend in turn talked at length about her husband’s valiant fight against cancer. Neither of us set out to say so much or say aloud words we’d never yet said, but something about the warmth of that hearth, the coziness of the room, the deliciousness on display and the open-hearted staff that set a stage for a confessional. I looked around and I was not alone. I saw fevered whispering by a middle aged couple in the middle of the room, furtive, under-the-table hand-holding by teenagers by the door, and a woman comforting a fussy child who seemed to settle down in no time. More than a bakery/coffee shop or place for weekly tango lessons (Thursdays at 4 p.m) or bread-making classes, Tabor Bread has become a beacon in its own right, attracting not just the next generation of talented new bakers (much as Alan Scott did all those years ago) but a new generation of new bread eaters as well. 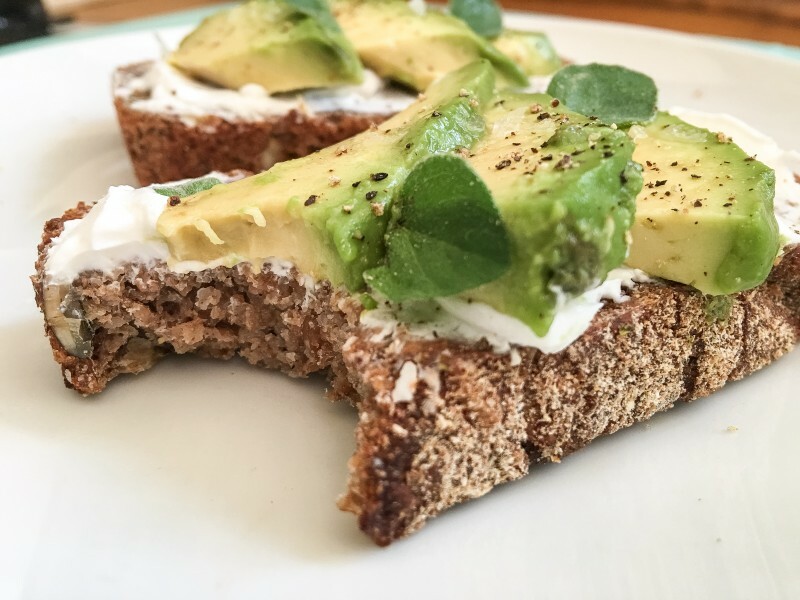 You see, people who’ve always had troubles digesting gluten often find that Tabor Breads present no such problems; something about the combination of whole grains, wild, naturally produced wild yeast and slow, overnight fermentation creates a much-easier to digest product. As Tissa pointed out that night at the University Club, aside from creating a business that sustains twenty like-minted individuals, one of her greatest satisfactions is returning the pleasure of bread-eating to those who thought that they’d never be able to eat it again. Or watching babies experience bread eating for the first time. Yes, Tabor Bread is the kind of place people go to to ensure that their babies first experience with bread is the best one possible. Enough of such chat. 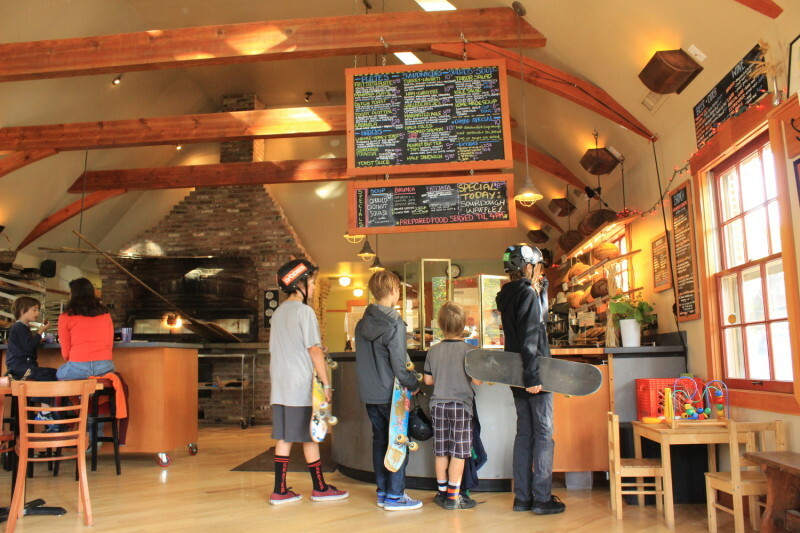 Go to Tabor Bread right now. or Mountain Breads (perhaps that day enriched with Mama Lil’s peppers, caramelized onions and Gruyere) and some of those salt flecked cookies. And while you’re at it, pick up that Cinnamon Swirl bread or a slice of one of their incredible morning quick breads. 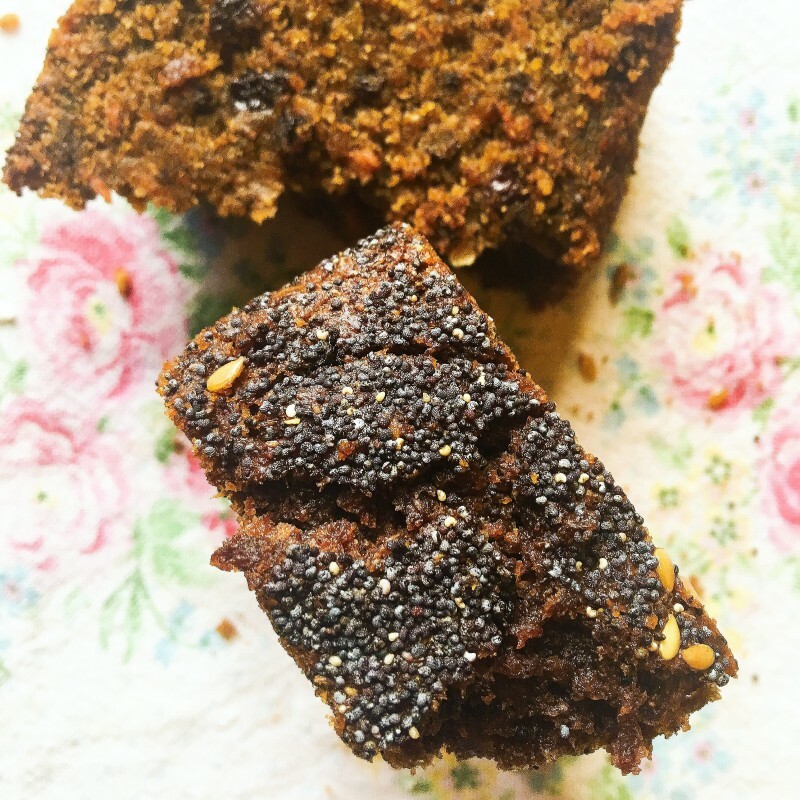 This latter offering was a recent discovery for me and I was in love with the buckwheat, currants, carrots and seeds combination. It was hearty and rib-sticking but sported surprisingly the most tender crumb. 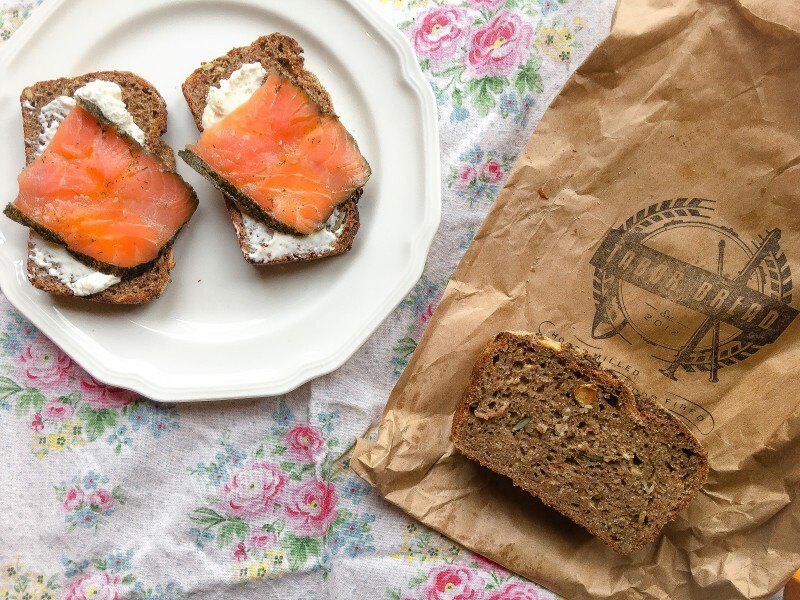 And please do not forget to pick up a loaf of their extraordinary Spelt Bread (currently my favorite loaf of bread in the city). Hell, just buy a little of everything and share with everyone you know (my friend Gillian introduced me to it). And after you do, try to tell me your life isn’t just that much better. And you aren’t that much more grateful to live in a city in which Tissa Stein and crew reside. What a unique, talented group of people. one that I think pioneer Alan Scott would be proud to call his own. Tissa sounds like a treasure. Her attitude towards her craft (and towards her team-mates) is lovely. 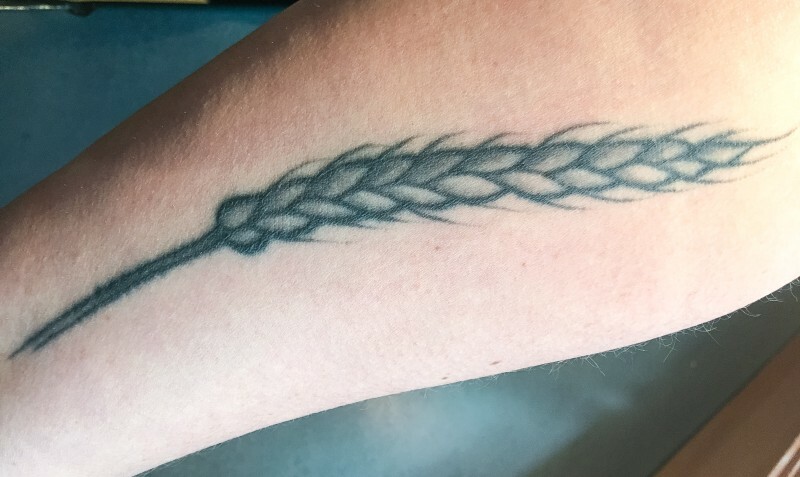 It’s inspiring to see the dedication and spirit that go into Tabor Breads, and your enthusiasm is catching, Sarah! Gillian, you’ve got to go! Every time I go into the bakery or to their stall at the market I find a new favorite. 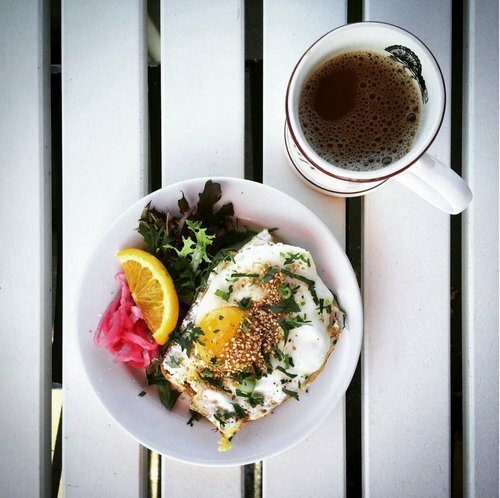 Their breakfast breads are DIVINE! I’ve always loved going to Tabor Bread for my weekly bread fix but now I have an even greater appreciation for their commitment to healthy products and to their people. 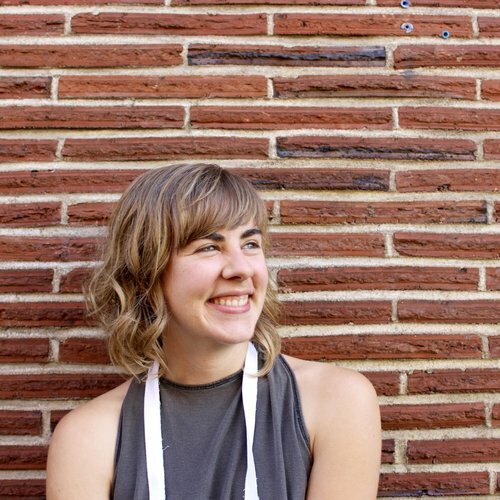 Thank you for shining a light on one of Portland’s greatest treasures, Sarah! P.S. My NYC daughter loads up on Tabor Bread when she’s home. 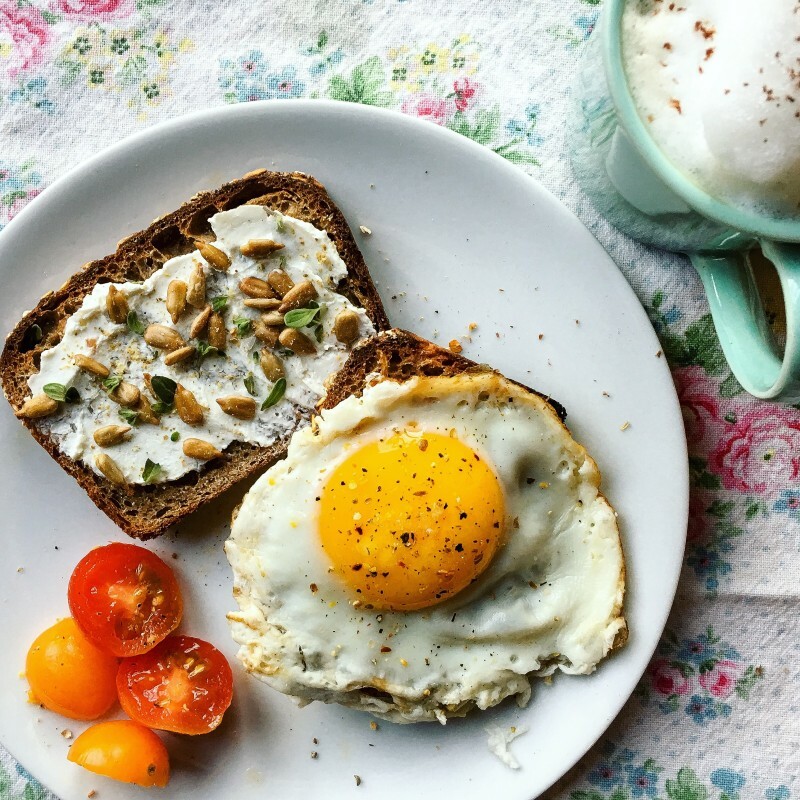 She maintains nothing compares to Tabor Bread–anywhere. 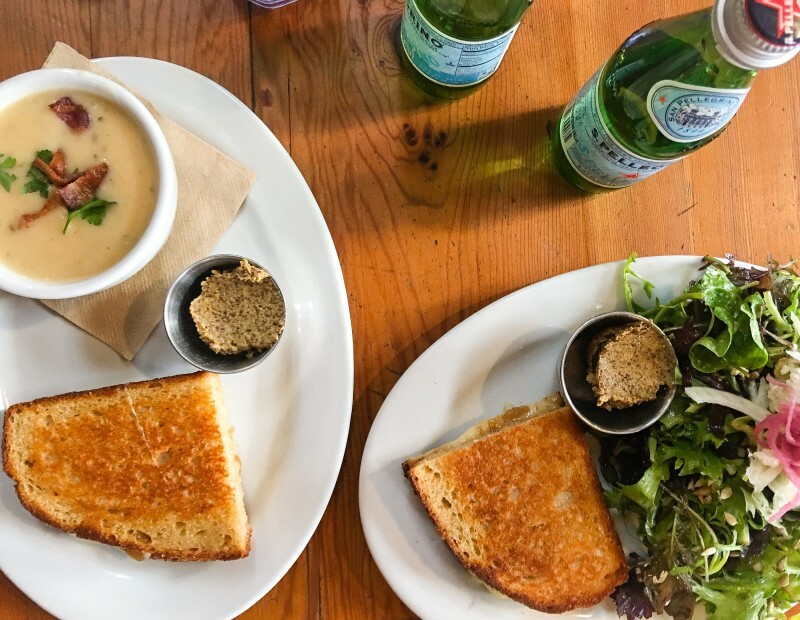 Cindy, so true about this spot being a treasure– and I brought TB loaves and granola to my sister in Boston on my last trip! Portland truly is an embarasssment of riches. 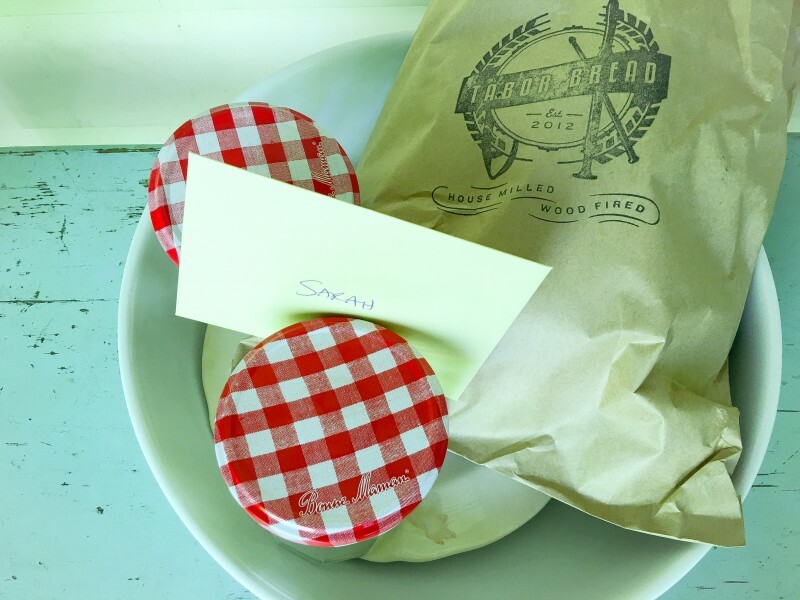 What a magical place – the breads sound and look heavenly and just reading about the wonderful staff makes me want to travel cross country to visit. 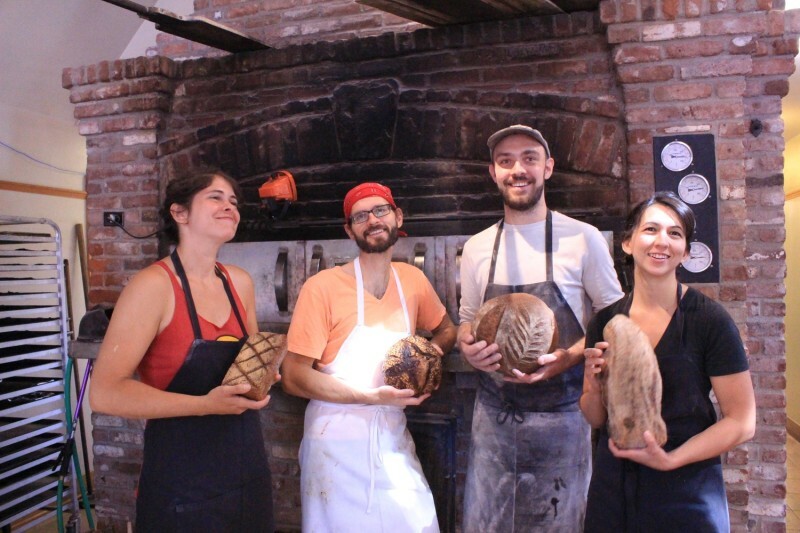 I loved the article and learning more about why this bakery and the breads are so special. My only wish is Tabor would open up another Bakery near us in Massachusetts. Polly, you would be amazed by this place — and truly the feeling here is one of a kind. Thanks for chiming in! That’s so funny! Did you ask a question? I asked about correlation between Americans puritanical attitudes toward pleasure and food… what a GREAT discussion– I could have listen to them talk all night!